This newly built house has been created with comfort in mind and provides excellent facilities for a relaxing holiday. 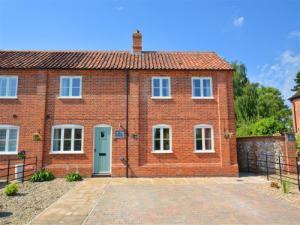 Within reach of both the cathedral City of Norwich and the ancient sea port and market town of Kings Lynn, the cottage is ideally situated to access all the variety the county has to offer. Good walks and cycling are also close to hand in the surrounding countryside. • Other: Towels, Travel Cot, Highchair, Stair gate, Telephone for incoming calls, Radio, Books and games provided.